This summer is really unmanageable; as if representing climatically a metaphor for what is happening around the world; a planet increasingly shaken by conflicts of various nature. In this framework, it is possible to find further confirmation about my belief that the organized crime represents a force in the field in the big geopolitical game, able to play on different floors even being not an unitary subject. The Eurasian landmass is shaken to its extreme by macro geopolitical dynamics indicating the weakening of American hegemony based on the dollar as a reserve currency, the hard military power, on NATO and its consequent ability to pressure on the European allied forces. However, the fever of hegemony which has pervaded the United States for a decade, and certainly at least until 9/11, is gradually turning into a schizophrenic inability to face the reality of the world that in the meantime is stirred with violence searching for a new, and especially different equilibrium. Russia, squeezed between the geopolitical unrest in the east and the west, warns an annoying sense of encirclement in which we Europeans, mostly for guilty subservience to American interests, contribute. Russia has in front of her a vital strategic goal: become a global power released by the economy linked to the exploitation of primary resources that does not itself generate internal development. 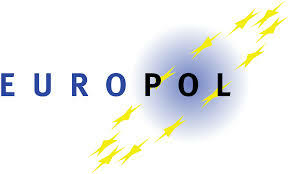 However, this challenge ends up in a second floor, and remains latent in the agenda of Moscow, as the government administration is engaged with all his strength in the management of the energy-dossier that today holds absolute priority and draws the geopolitical lines for the future entire structure of international relations. Without no go further in this fascinating subject, and after pointing out the cases of the 2008 war with Georgia and the one still in solution in Ukraine for control of the Crimea and his port of Sevastopol historic seat of a substantial part of the Russian fleet, I would bring attention to the next area of conflict in Europe: Moldova. The common foreign and Russian defense ministers are providing efforts on the containment of the advance of Western influence into their –vital space- which obviously Russia can not giving up as the conflicts mentioned above clearly show. The Moldova issue has to be discussed and understood in this geopolitical environment. Romania and Moldova means Europe. Vladimir Putin is aware that Russia cannot engage in any form of direct military interference, as happened in Georgia and Ukraine, because Europe could not stay inert as well as NATO itself. This is a geostrategic quadrant and here the game should be played with different assets: one, the soft power, which Moscow, since the days of the Cold War, was no longer accustomed to use. Soft power means the ability to exploit intelligence, diplomatic pressure and energy, but also exploiting organized crime. 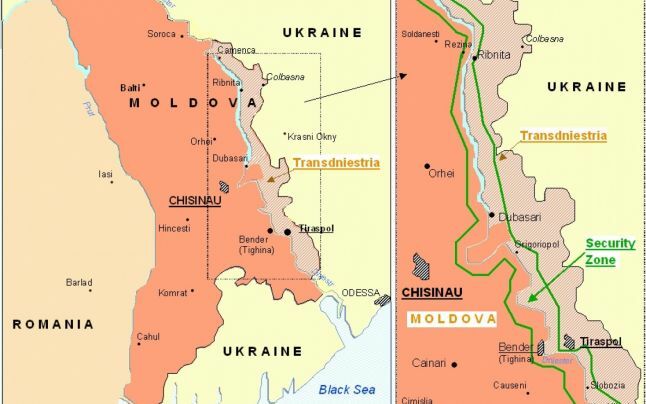 An example can be found in the region of Slavic origin the self-proclaimed Republic of Transnistria (Russian Приднестровская Молдавская Республика http://mfa-pmr.org/, Moldova, Republic of Pridnestrov'e, which is a de facto independent State not recognized by the members countries of the UN, being considered de jure part of the Republic of Moldova) that represent a favorable and real environment to any illegal and criminal activities carried out even by many states and which Russia itself supports. From Moldova, Romania, Bulgaria, and Greece, it unravels the crime Slavic, Russian, but also Armenian, and Georgian, which in vying for supremacy in their own home, and more generally in the Russian-speaking criminal world, exports their illegal activities throughout Europe which manages to dredge million euro that reinvests in illegal activities whose final profit is generating power. When the issue of Moldova, will take the place of the Ukraine, is certain that Moscow, unable to cope with the NATO militarily because art. 5 of the NATO treaty http://www.nato.int/cps/en/natolive/official_texts_17120.htm that focuses on the allotment Romania, as a country belonging to the forum, from possible invasions, will exercise his soft power fueling the fire of nationalist claims of minorities such as that of Gaugazi, Turkish and Orthodox Christians, thanks to the intervention of organized crime in the whole area that is strongly rooted and able to build a political coalition and so influencing and conditioning the public opinion. In short, the control of organized crime is increasingly an additional asset for the great powers certainly do not give up. Since a nearly a decade, the Russian criminal world is shaken by a criminal war between the Georgians and between them and the Slavic factions for the control of both the illegal and legal business in Russia, Europe and across the ocean; see Terrorism, civil wars and crime, how does it works? . These bloody disputes also viewed theater as Italy, France, Spain and Greece considered as the territories to conquer and exploit, Greece as a free port also useful for logistical issues. For Moscow have a fifth column to exploit is a valid option as for all states. In fact, they have never disdained the use of criminal networks when they felt the need. So, when we turn on the spotlight on the future more than likely theater of Russian-European friction of Moldova we should also consider the influence generated by criminal forces in the crisis to come. In short, my dear, this world is changing rapidly and it is certainly not the case to relate to these changes with the old conceptual categories of the twentieth, or even worse, of the nineteenth century: organised crime is very useful to the states, economy, politics and many other actors in our society; this approach is useful for understanding the phenomena that all condemn but few address.